The writing is on the wall. Churches, seminaries and convents are becoming emptier. 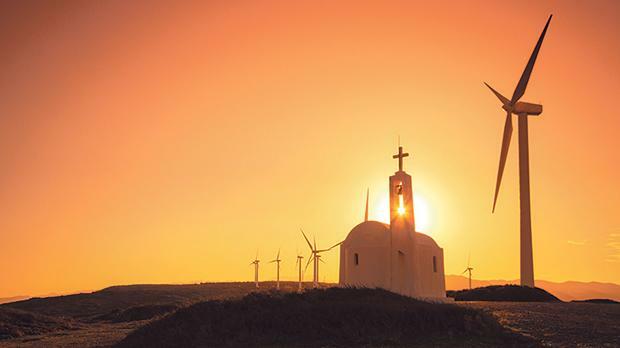 Respect for the Church in post-Catholic Malta is being replaced by something worse than rejection – indifference and irrelevance, even if the external trappings of religious feasts and traditions seem alive thanks to tourism, commerce or politics. Is there a future for the Church? I believe there is, provided it becomes a Church of and for the future. “The future of the Church will be reshaped by saints… Unselfishness, which makes men free, is attained only through the patience of small daily acts of self-denial.” Neither numbers nor powerful strategies will reshape the Church, but the freedom and unselfishness of people like you and me when we accept to be a gift of love to all we meet. “Our interior depths remain closed to us. If it is true that a man can see only with his heart, then how blind we are!” If we realise that God is neither above nor besides us, but within us, we will see with the eyes of love what we cannot see with the eyes of reason, ambition or fear. Is the Church ready to die to become the salt of the earth? “We have no need of a Church that celebrates the cult of action in political prayers. What will remain is the Church of Jesus Christ, the Church that believes in the God who has become man and promises us life beyond death.” Prayers, liturgies, dogmas and doctrine will never save anyone unless they express and nurture a loving acceptance of Christ as God made man. He can only be seen and touched through personal and loving relationships. “The priest who is no more than a social worker can be replaced by the psychotherapist and other specialists; but the priest who is no specialist watching the game, giving official advice, but who is, in the name of God, beside men in their sorrows, joys, hopes, fears – such a priest will certainly be needed in the future.” Only priests who smell like their sheep can journey with them towards a real future. “The Church has lost much. She will become small and will have to start afresh more or less from the beginning. She will no longer inhabit many of the edifices she built. As the number of her adherents diminishes, so it will lose many of her social privileges. It will be seen more as a voluntary society, entered only by free decision.” Gone are the days of definitions, obligations, sanctions. Bigger is better is being replaced by smaller is beautiful. The future of the Gospel depends on the Church becoming a living witness, a loving companion and a sustaining togetherness in search of the ultimate meaningfulness of existence. “In faith and prayer she will again recognise the sacraments as the worship of God, not as a subject for liturgical scholarship.” Liturgy will rediscover itself as a means, not an end, priests as servant-leaders rather than privileged tribal chiefs, churches as prayer spaces rather than imposing status symbols. “It will make her poor and cause her to become the Church of the meek.” If the Church returns to its foundations of humility and meekness, shedding its “sectarian narrow-mindedness” that comes with clericalism and careerism, then “a great power will flow from a more spiritualised and simplified Church”. In a future world, bloated with glitzy meaninglessness and devastating loneliness, “the Church may no longer be a dominant social power but it will enjoy a fresh blossoming and be seen as man’s home, where he will find life and hope”. A blossoming future for the Church starts right now with you and me if we “pray for and cultivate unselfishness, self-denial, faithfulness, sacramental devotion and a life centered on Christ”. “Truly, unless a grain of wheat dies, it remains alone. But if it dies, it produces much fruit.” (Jn 12:24) Is the Church ready to die to become the salt of the earth?